But did you know that although all leafy greens are good for you there are some that have a higher nutritional value than others? Rocket and Iceberg Lettuce are amongst the least nutritious leafy greens. Rocket has a very distinctive pepper flavour and is often used alongside other leafy vegetables to add an extra flavour dimension to the dish. Iceberg lettuce is one of the cheaper lettuces you can buy but is lacking in flavour and also only contain around 7% of your recommended daily allowance of Vitamin A and 3% of Vitamin C per cup of lettuce. It is also higher in calories being 10 calories per cup. 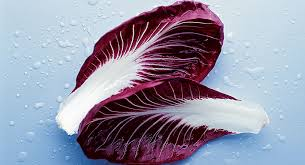 Radicchio is a popular option to replace standard lettuce in a salad dish partly due to its distinctive colour. As a member of the chicory family it also has a beautiful flavour and contains over 100% of the recommended daily allowance of vitamin K.It is definitely worth adding to your dish even if it is not the main leafy ingredient. Watercress is an incredibly popular option for both salads and sandwiches and you often find this added to egg sandwiches. It is very nutritious and has high levels of vitamins K, A and C and is very low in calories being only around 4 calories per cup. There have also been some studies that have linked Watercress to helping lower the risk of Type 2 Diabetes. It is often added to other leafy vegetables in a salad dish. If you prefer to have a type of lettuce leaf in your salad, then Romaine lettuce is great for flavour and texture and also has around 81% of your recommended daily allowance of vitamin A in just one cup full of lettuce. It also contains a range of B vitamins and is only 8 calories per cup. When looking to pack your salad out with nutrition rich leaves you can find none better than spinach and kale. 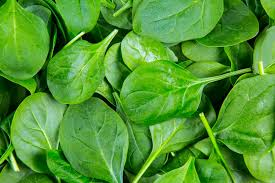 Spinach is not only filled with vitamins but also contains many nutrients including potassium and iron which are incredibly important in helping to regulate blood pressure and the condition and protection of red blood cells. Kale is incredibly high in vitamins especially vitamins A, C and K.
So next time you make yourself a delicious salad, throw in one of these alternative leaves to add some extra nutrition to your meal.